Young people at Jaffa Gate, in Jerusalem (© Susan Law Cain | Dreamstime.com). Ben-Porot, whose presentation was based on his new book Between State and Synagogue (Cambridge University Press), said that religious and rabbinical authority is declining in Israel because of demographic changes and as secular and non-orthodox Israelis are finding novel ways to skirt laws and observances involving the Sabbath, kosher food, and marriage. He said that many of these changes are “not on the books or official” and are not related to promoting a secular ideology or engaging in politics. 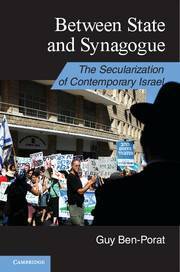 The conflicts between secular and religious Israelis grew especially in the 1980s and 1990s with the formation and growing influence of orthodox political parties. Secular and other non-Orthodox Israelis attempted to use political means or to appeal to the liberal Supreme Court to battle such influence was largely unsuccessful, according to Ben-Porot. Rather it has been the changes in Israel’s population and in Israelis’ lifestyles that may pose the biggest challenge to traditional religious influence. The influx of immigrants from the former Soviet Union (FSU) during the last two decades has added to Israel’s secular climate since many of these newcomers are defined as non-Jewish by the orthodox (largely because of having non-Jewish mothers). Since their marriages cannot be certified by orthodox authorities, many of these FSU Israelis citizens go to Cyprus to have their wedding ceremonies. Cohabitation, which has tripled in 15 years in Israel, has also been a way of circumventing religious marriage laws. Another factor in the challenge to religious authority is the growth of “secular entrepreneurs,” who use available resources to make changes in Israeli society that often circumvent religious regulations. 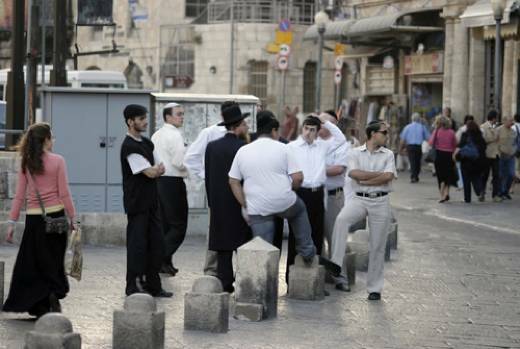 While opening businesses on the Sabbath is officially prohibited, the law allows for non-Jewish merchants to work, which creates a loophole for secular Israelis to keep their shops open. The expansion of shopping malls outside of cities that are outside of the religious regulations regarding the Sabbath and kosher food also feeds into the consumer lifestyle of secular Israelis. This lifestyle may be spreading, as Ben-Porot cited research showing that as much as 40 percent of Israelis who define themselves as “traditional” also admit to shopping on the Sabbath. In the same way, non-kosher food can be produced and sold if the producer or vendor is non-Jewish, thus allowing for an alternative secular market.